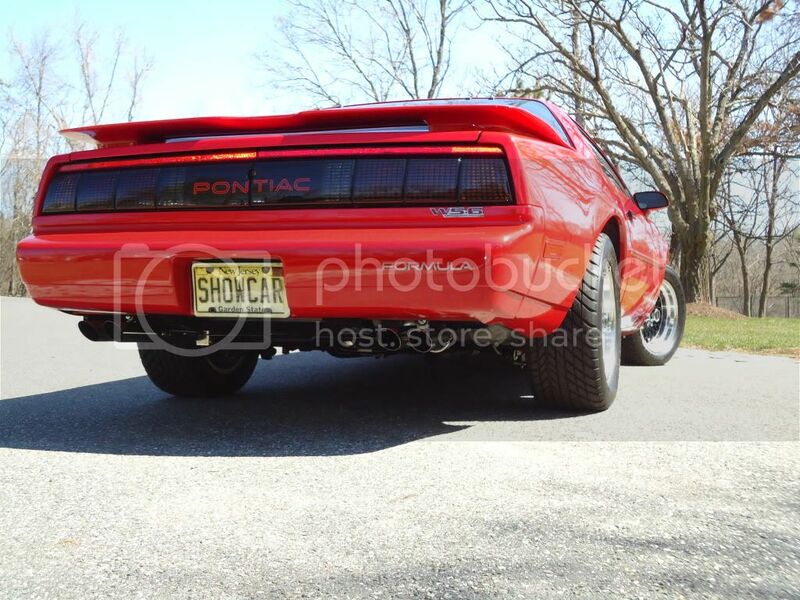 I just did the taillight swap (89 Formula style to 85-90 Trans Am style) this past weekend and thought I would let people know what I did. I tried to search how to do it but found I was having trouble following people's instructions. Also, I might not have been using good search criteria, because I didn't find that many posts about wiring. Mine probably won't end up being much better... but hopefully it'll help someone out. First of all...I didn't wire mine up like those on an actual Trans Am. On a Trans Am... the outer most light on either side is just a running light. The other two red lights on either side are running lights, turn signals, and brake lights all in one. The way I wired my lights up differs in that the outer most light on either side is used for the turn signal instead of the other two red lights. The reason I did this was because it saved me from having to go under the dash to rewire stuff. It also allowed me to keep the stock flasher (apparently a heavy duty one is required other wise or the signals will blink quickly and dimly). I also didn't need to swap harnesses, and all the wire colors still match up to the same as they did stock. For the swap, other than the taillights themselves, I also grabed the dual filament sockets from another harness. These have 3 wires coming from them... black, brown, and either yellow or dark green (for left and right turn signals). This site was particularly helpful in that it had clear pictures of the wiring for both the Firebird and Trans Am harnesses. At the bottom of the page, the author shows a wiring diagram that gives the same result as what I achieved. However, THIS IS NOT WHAT I DID. He swapped harnesses, I did not. With my old harness, I disconnected the two small running lights on each side, and the turn signal light on each side. Then with the new dual sockets (which are the same as what the Formula brake/running lights are), I wired the ground (black), and turn signal (yellow or dark green, depending on if it's the left side or the right side) from my old turn signal light into the new socket. And then wired the brown (running light) wire from one of the disconnected running lights to it as well. This new socket now functioned as a running light and turn signal light, and I just plugged it into the outer most light for the Trans Am taillights. The other lights will fit the Trans Am taillights without modification. For the sockets I mentioned, I got them from a donor Trans Am harness, since they had the black, brown, yellow( or dark green ) wires already. Keeps the wire colors and function same as stock. thats a pretty cool site..
world of diffrence,, looks great!!! I did the same thing, switched from the awful stock taillights to the T/A ones, which by the way i picked up from the junkyard for $40. I cut all my wires (noting which were which of course) and tried attaching the bulb holders from the new taillights, but the flashers wouldn't work, when you turned on the turn signals, whichever side you turned on would just stay on, no flash..
but here's a pic of the new lights, and i understand what you said about admiring the new look, for weeks i couldn't go near the car without first going to look at the tail lights lol..
Last edited by WildStreak; 03-20-2003 at 08:43 PM. 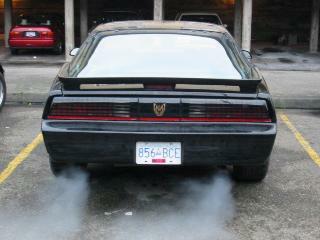 I switch mine too from 91 Firebird tail lights to 85-90 T/A tail lights. I also made them clear by removing the inner red lens. I have red color glass bulbs in there to make them legal. I think it looks good so far but I need to replace the outer lenses due to all the cracks. That is very informative and useful. I had always thought that the outer lens of the TA lights was a turn signal/running light. I am kind of dissapointed that its not. I think the base 85-92 Tails would look great if it were not for the amber and reverse light section. I plan on keeping mine, but moving the turn signal up where one of the brake lights would be so I can black out the amber section. I may even wire the reverse lights underneath the car so I can block out the reverse light section too, then I can have Dodge Challenger style lights and the tails would look much cleaner. I wanted the TA lights, especially the 91-92s, but they are still a bit to steep for me. I think this thread should be a STICKY. 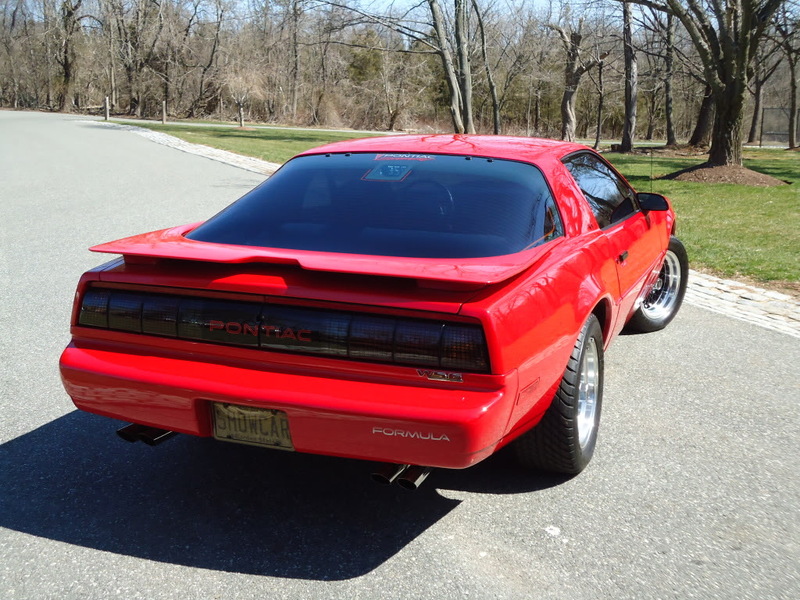 One of the most popular Firebird mods is to swap from base 'bird taillights to Trans Am taillights, and this 9 year old thread nails it perfectly and simply. But it can be made even simpler than this thread makes it. There's not a better thread on the topic. I wish I'd found it when I did this mod to a 'vert four years ago. It would've saved me some headaches. Wiring is always the issue. People try doing this, that and the other, tearing out and replacing harnesses, getting under the steering column, etc., or just trying to be clever and creative, only to end-up creating a lot of extra work for themselves. But if they'd seen this thread first, they could've saved themselves a lot of work. And this wiring mod will make the '86-'90 base 'bird harness work with ANY year thirdgen TA taillights: '82-'84, '85-'90 and '91-'92. 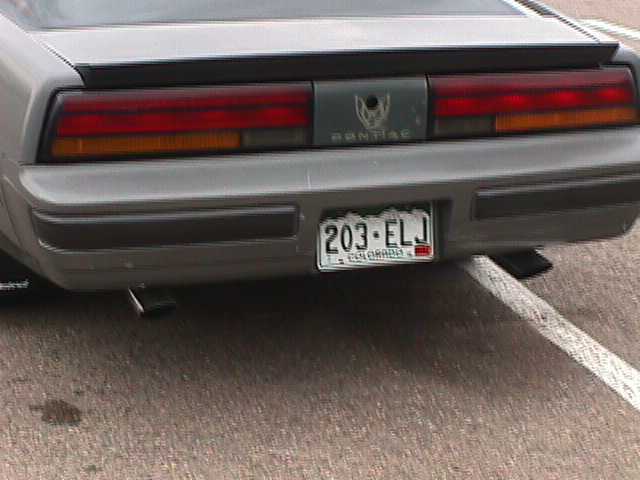 It will even make the existing '86-'90 base 'bird taillights work more attractively too, all without doing anything more than simply changing a couple of bulb sockets. But all you really need to do is change one wire on the two outer-most three-wire sockets. 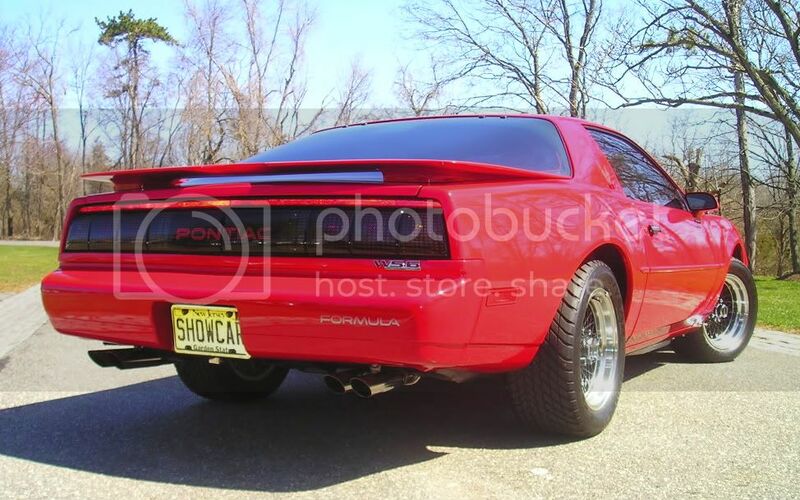 Most people swap because they like the '85-'90 TA taillights better, of course. But a lot of people would probably keep their base 'bird taillights if they could delete the amber lenses from the equation. And with this wiring mod, you can do that, moving all of the light activity up to the red lenses, completely eliminating the use of the amber lenses. Then you can black-out or red-out those unsightly amber lenses if you want to do so. Last edited by LAFireboyd; 05-05-2012 at 02:36 AM. Haven't seen any pictures here with a set of 91-92 GTA style lamps, so here are mine on my 1991 Formula. On the last picture you can also make out the custom 350 LED 3rd brake light. Last edited by edpontiac91; 03-17-2013 at 05:28 AM. Just came across the word PONTIAC (on eBay) in the form of a decal with the correct tomato red color. 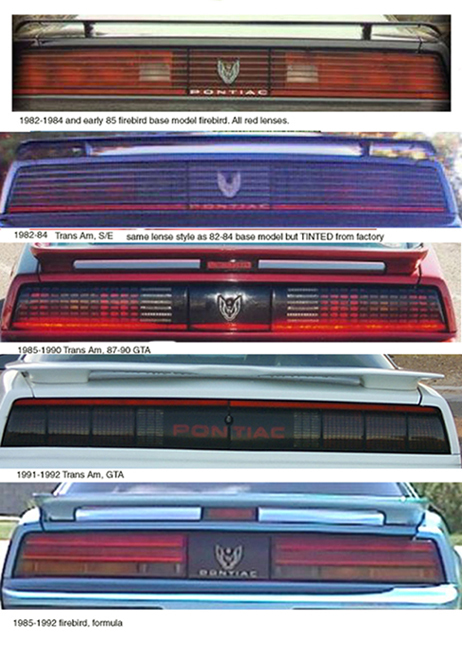 Most of these 91/92 GTA lites have long lost the painted word PONTIAC or have faded badly. I did this swap on my 89 FORMULA and didn't cut a single thing. I nabbed a T/A harness, popped the dr side back seat panel (panel below sail panel) unplugged the base tail harness, plugged in the T/A harness and tested it, then proceeded to remove the base harness and route in the T/A harness. no cutting, plug and play. That is a sweet ride, and those tail lights really pop! Has anyone done this conversion from firebird to camaro? Replacing the stock camaro tail with the firebird lights? Without a ton of bodywork it won't happen. This post was very helpful. I know this in an old thread but I found it and I suspect others will as well so I wanted to point out an oversight in it. I just did this swap on my base Firebird and you need to connect in the black ground wire from the small running light on the original harness to the ground connection on the transplanted signal/running light socket as well as the brown/brown, yellow/yellow or green/green wires. The configuration described in the original post only gives you the signal light. At least that's the way it worked with mine. On the drivers side it works no problem because there is enough slack in the running light wires to reach the signal/running light socket. On the passenger side I had to splice in extra wire I scavenged from the donor harness I had to get it to reach. Hope this helps. I always liked the Formula style (bottom pic) better. So I bought a pair. Can someone tell me if I can use my current wiring harness (without modification), or I can get a tail light harness that was removed from a 1988 Firebird GTA. What is the difference in the (number of) bulbs for each function? The harness pictured is from the 88 GTA. Separate the TURN wire from the TA bulb(s) sockets. Connect TURN function to new sockets for the Yellow turn signals. Add additional (1 per side) small RUNning light sockets. Plug bulbs into their proper locations. Properly connected ground wires for each bulb socket are assumed. is there any way to safely remove and replace just the lense part of the tail light or are the glued on? Last edited by Strigon1; 12-06-2018 at 10:41 PM. Where does This Cruise Control Lead connect to?